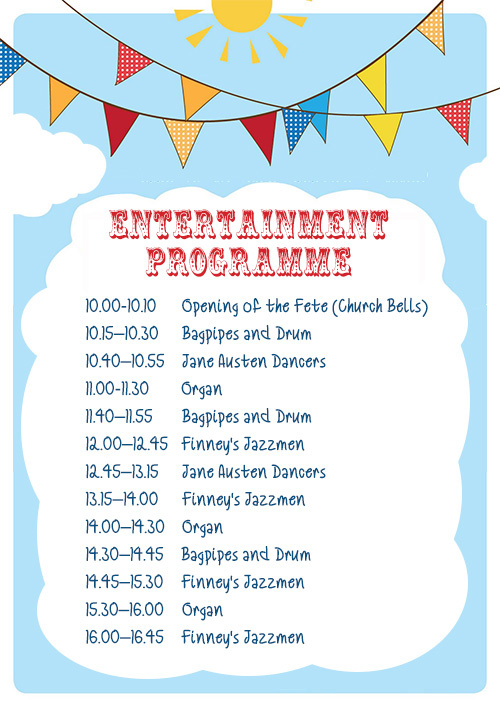 The Entertainment Programme for this year’s Summer Fête has been published. The event, which will be held on Saturday 26 August, has something for all the family. In addition to the many stalls packed with home-made treats, British goods and books, there is also a full programme of music, song and dancing. It all kicks-off in Churchillparken at 10.00 - see you there! A PDF of the Fête flyer can be downloaded here. Please help us spread the word!